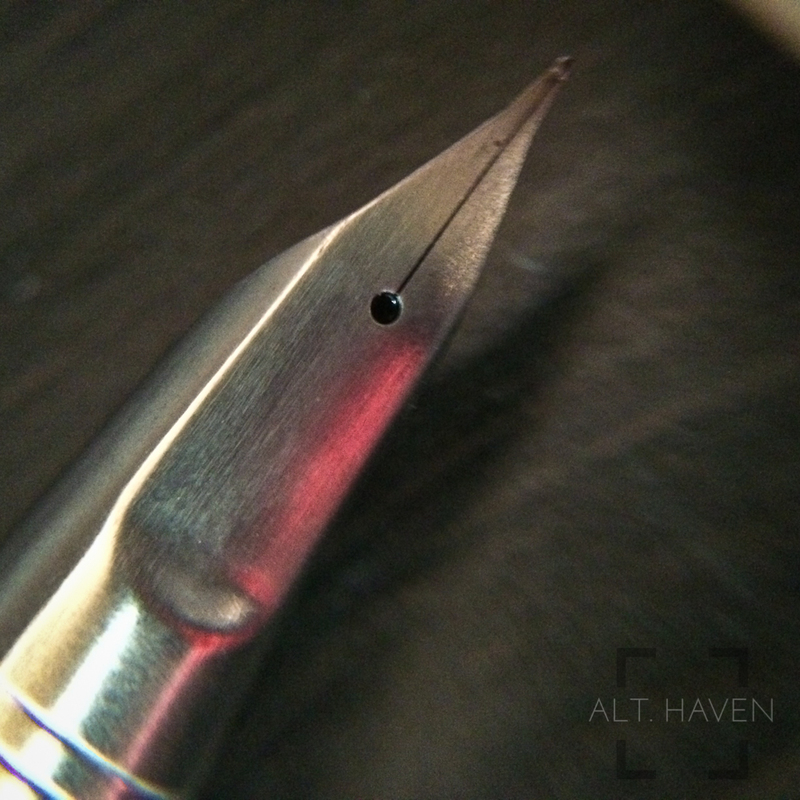 I have previously reviewed the Pilot Myu 701. My only complain for it was the smooth and sleek grip section. However about a month later I had the opportunity to purchase the Pilot Murex F nib. I jumped at the chance to acquire it. The Pilot Murex is a full length fountain pen launched in 1977 in Japan. It retailed at 5000 yen when it was launched. The Pilot Murex came only in fine and medium nib sizes. Like the Pilot Myu 701, the Pilot Murex has the distinctive integrated nib. The Pilot Murex is a full length fountain pen unlike the Myu 701. 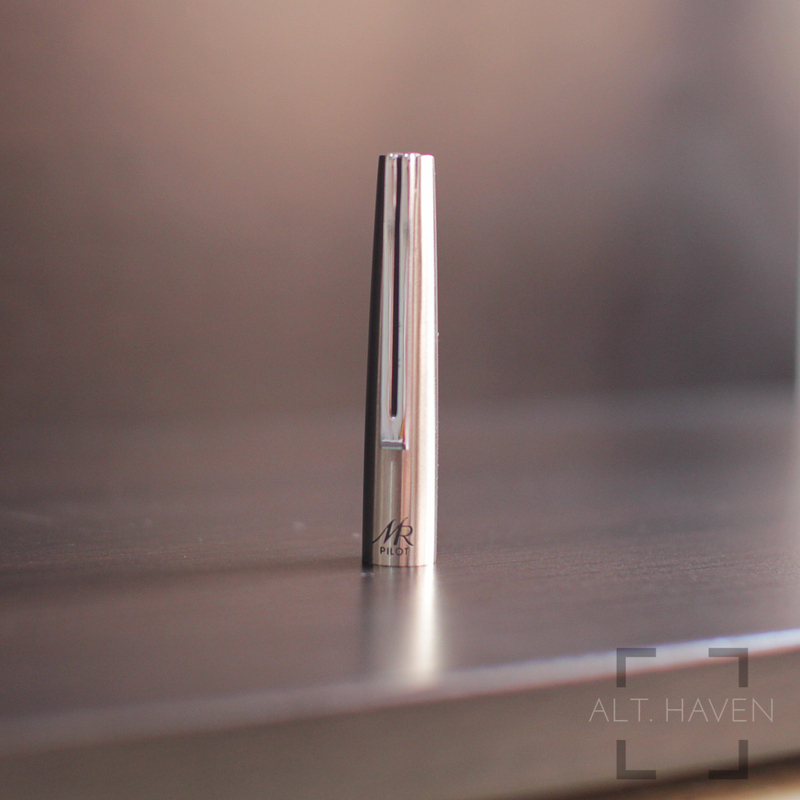 It is a silver stainless steel pen with a sleek and modern look. 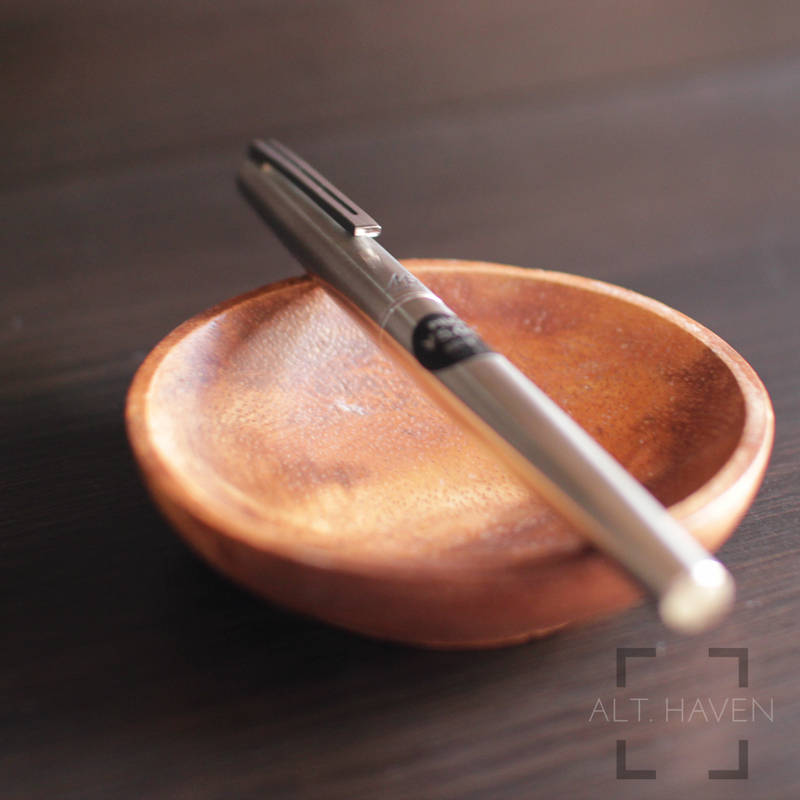 The pen has a flat topped design. The spring loaded clip has black line in the middle leading to the top of the cap. The clip is slips easily over jeans pocket and pen case. The cap snaps on and off with an audible click, and it is a push to post type. The logo MR Pilot is etched on the bottom of the cap. When it's capped, the cap has a tiny bit of wriggle room so it kind of rattles a little. The Pilot Murex's grip section has grooves lining the section. This corrects the slippery grip section of the Pilot Myu 701 that I have encountered. With this improvement the Pilot Murex is practically perfect in my eyes. The Pilot Murex takes both a converter or catridge. However you can only use the Pilot CON 20 converter. I have tried fitting in a CON 50 and CON 70 but they do not fit. The Pilot Murex isn't a heavy pen. It is well balanced and throughly enjoyable to use. I don't post my pens as I use them most of time. However if you have a need posting the cap doesn't make the pen overly heavy or unwieldly. My Pilot Murex comes with a fine nib. The nib came ever so slightly more feedback-y than I would prefer. Though it is a Japanese fine nib, it lays down a wet line after I got our local nibmeister to adjust it. Now it writes smoothly with any ink I fill it with. I can only say that the Pilot Murex is the perfect coming together of design, workmanship and history. I love the way it looks, the simple and clean lines on the pen. 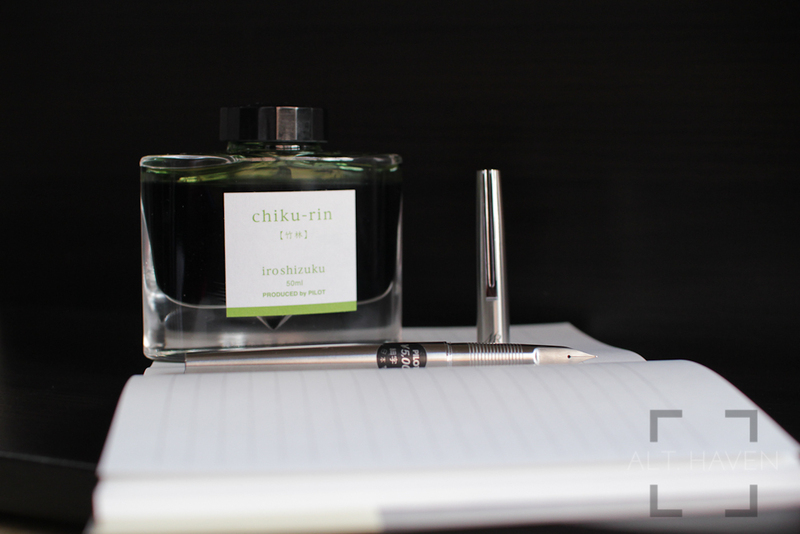 Though this is a discontinued model of Pilot fountain pen, it works well with the modern converter and cartridges. I enjoy using the Pilot Murex and I dare say you would too.